Everyday flight a different landscape, every day a new adventure. Get your hands freezing over the glaciers and volcanoes, chase down the canyons, foot drag the black beaches, fly next to rocky cliffs and plenty waterfalls everywhere. The green on Iceland is a pure definition of green color, I swear there is nothing more green in the world and yet the landscape will instantly change to volcanic badlands with colorful rock formations and twisty rivers. 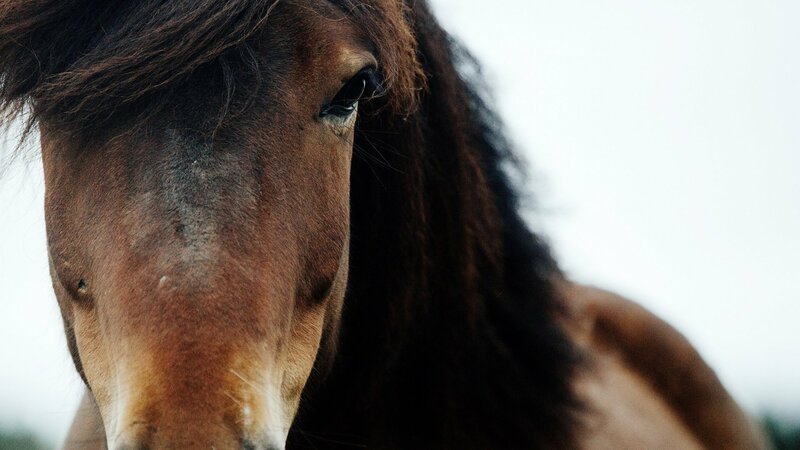 Imagine discovering new places, landscapes never seen before. In 2019 we will make again this amazing ADVENTURE! Usually we improvise a lot. Knowing the best locations, we select the next based on weather forecast. Sometimes its raining here but flyable 100km away. This way we get the most of flying possible. We will mostly do camping on airfields or official camping places. Sometimes we do wildlife camping if legal. Camping right at the take-off place and saves a lot of time early morning and late evening. You will have to bring your tent, mattress and sleeping bag. We will have room for it in the trailer. Every day we will stop somewhere to get fuel for paramotors, shopping in a supermarket and sure there will be a restaurant for lunch. Camping food for breakfast and dinner mostly. We can do shop and cook food together and the split the costs or you buy food on your own just use our supplies to prepare your own. What if the weather is not flyable? There might be rainy or windy days. We will improvise. 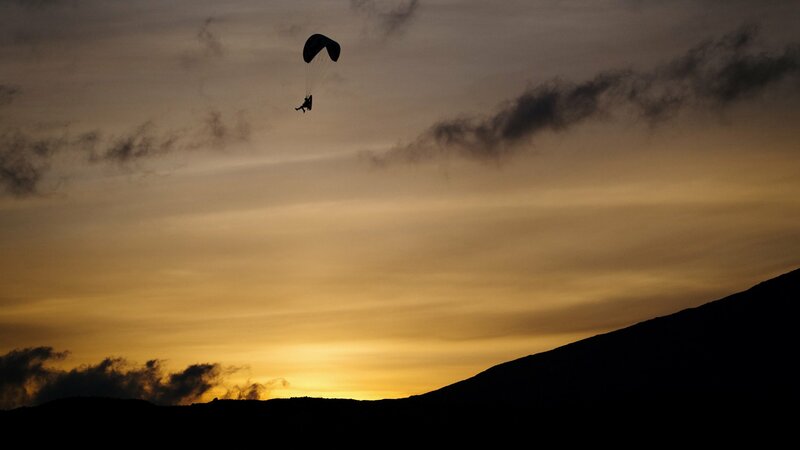 We will do sightseeing, hiking or just share paramotor stories and liquor at a campfire. 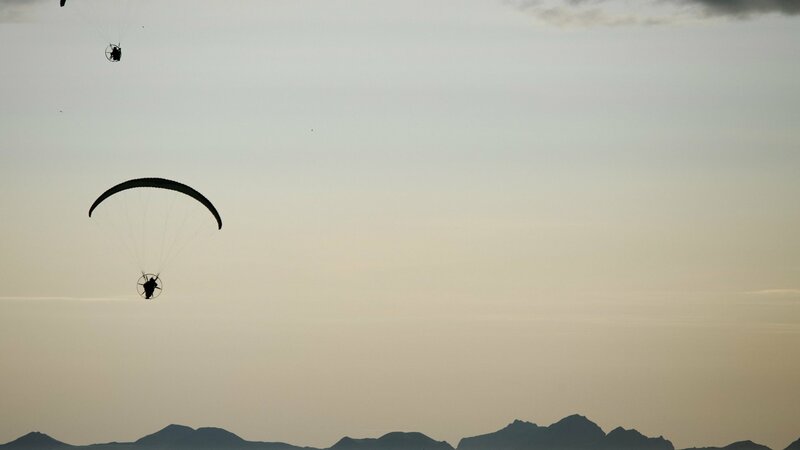 How to get your paramotor there? Yes, that is the tricky part when traveling for PPG adventures. 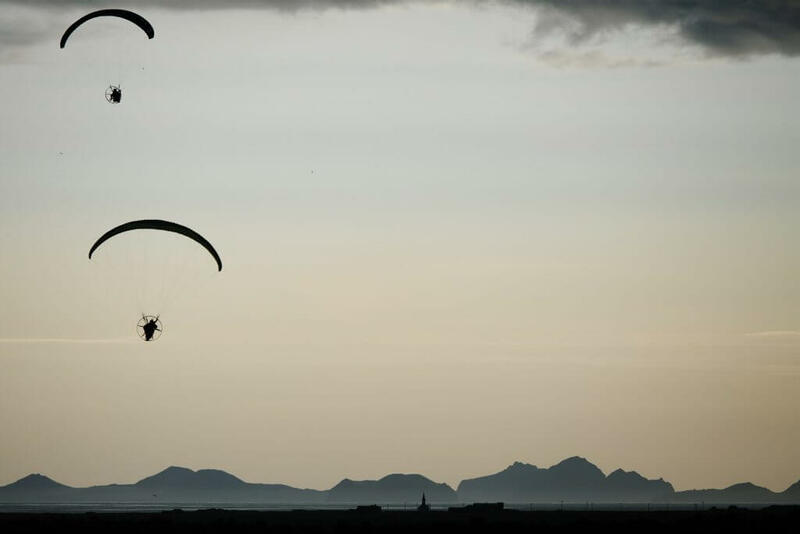 Taking your paramotor onto plane is always a risky business and you may end up being grounded. I will drive the minibus and trailer 2 days to Denmark, then get bored to death for 2 days on the ferry and then drive another day cross Iceland to meet you in Reykjavik. Exhausting, boring, time-consuming, terrible… And same way back home, ouch:-( … I will do so you don’t have to. 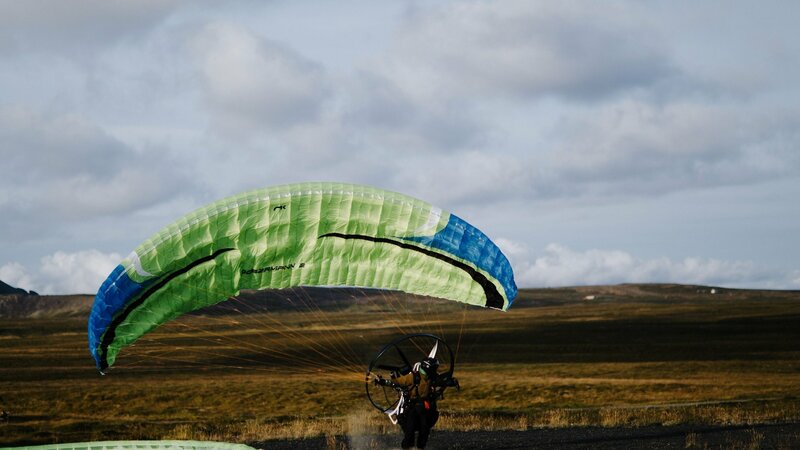 rent one of our SCOUT paramotors. This is a great opportunity to properly and throughly test the SCOUT. After first flight you will fall in love with it for sure. After flying 15-30 hours on it during the adventure trip you will not want any other machine any more. Should you decide to order a new scout afterwards, you will have half of the rental costs off your purchasing price. place an order for a brand new SCOUT and have it delivered to Iceland. Fly the best adventure of your life on your new dream machine! After the trip, we will take it Slovakia, clean it, pack it and ship to your home. 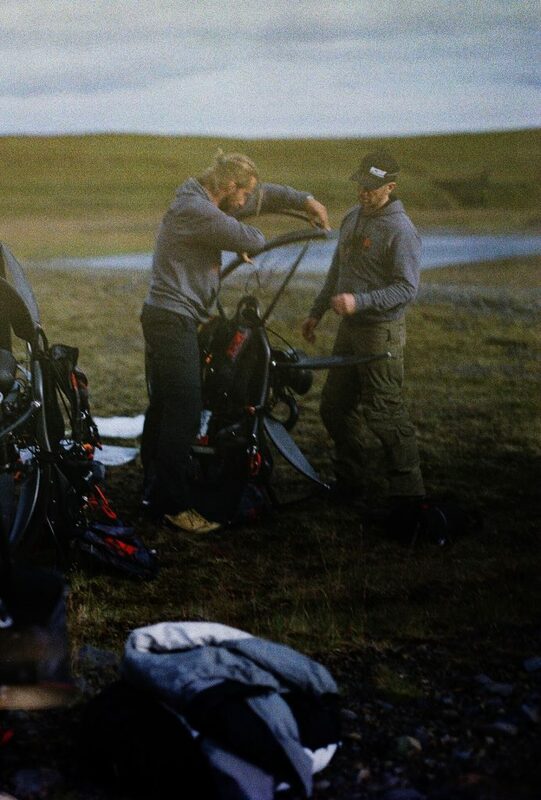 ship your paramotor to SCOUT headquarters and we take to Iceland for you. We may arrange the pick up at lower cost, we have good deals with FedEx and other shipping companies as we ship a lot. You are responsible for packing it properly. 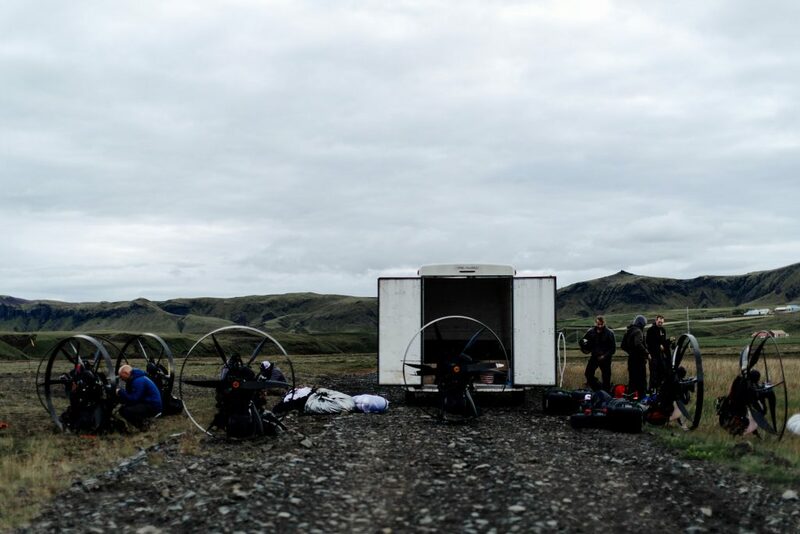 We will load your paramotor into the trailer and drive it to the to Iceland. You enjoy a comfortable flight to the destination with light luggage only. After the trip, we will take it to Slovakia, pack and ship to your home again. You pay the parcel service only. Transport in the trailer from SCOUT HQ to destination and back is free of charge. fuel and oil for paramotors. Fuel will be charged on place based on how much we burn. Assume around 200 eur for the trip but trust me, this is the best spent money! camping fees. Official camping sites are usually 10-12 eur per night and person. Some spots are legal for free camping. food: Last time we did get along with camping food very well. Stove, pan, pot and barbecue will be available. Expect 20-25 eur per day for camping food. Restaurants are very expensive no matter what prices you are used to. 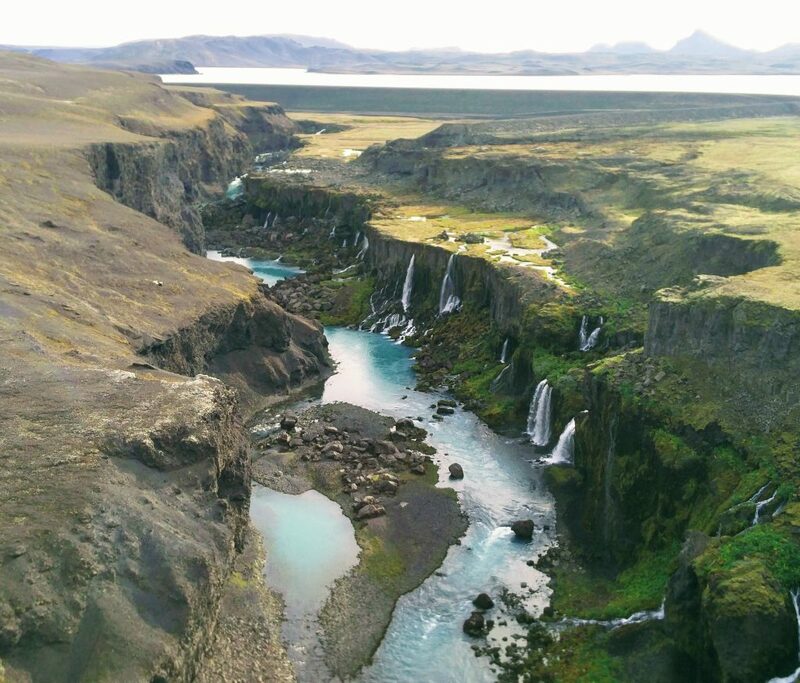 Iceland is incredibly expensive yet its absolutely worth it. The main costs are just getting there and despite the incredibly high ferry prices and a horrible 5-day travel to Iceland I have chosen to drive a van and trailer. Treat yourself with a brand new SCOUT and have it delivered for your AMAZING ICELAND adventure, this is the right time! We will make you a brand new, fresh and crispy SCOUT and it will be delivered for you on your adventure. 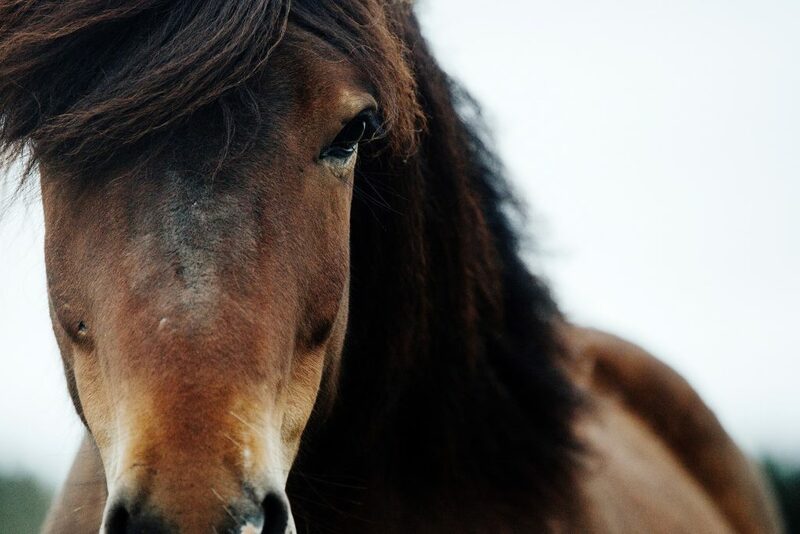 Free transport to and from Iceland, delivered to your home afterwards. 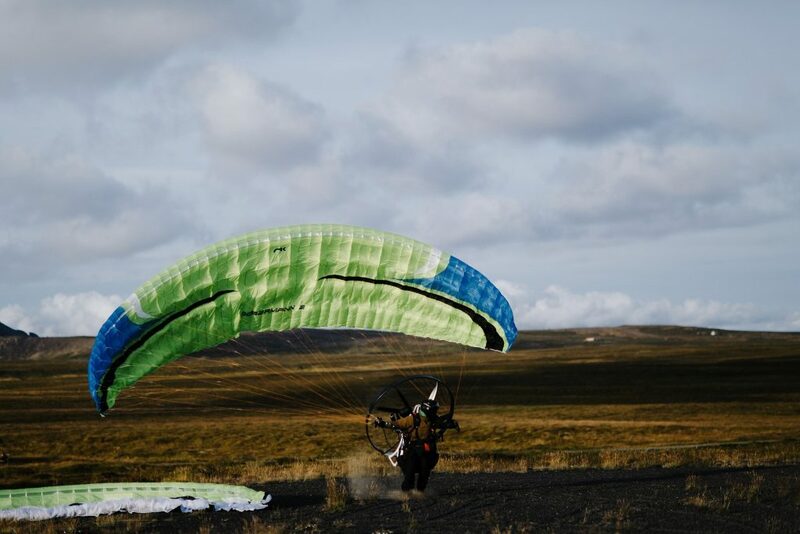 Ship your paramotor to us before and we will transport to and from Iceland for free. We can help to arrange shipping at probably lower costs as we have good discounts with parcel services. Not a SCOUT pilot? No problem! The trips are not exclusive for SCOUT pilots. Yet the seats are limited and we kind of feel that they will be booked quickly. SCOUT pilots will be given priority boarding as a reward for their trust and passion. Thank you guys. Starting of 16/05/2018, reservations are open to everyone. Miroslav is the designer and the main brain behind the SCOUT. Miroslav has a lot of experience with adventure flying. 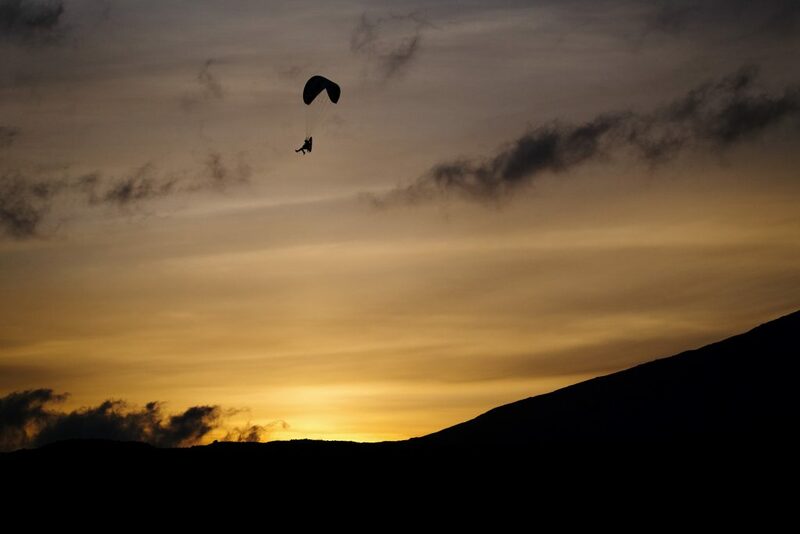 In 2013 he strapped a sleeping bag to his paramotor and has flown +1000km around Slovakia. 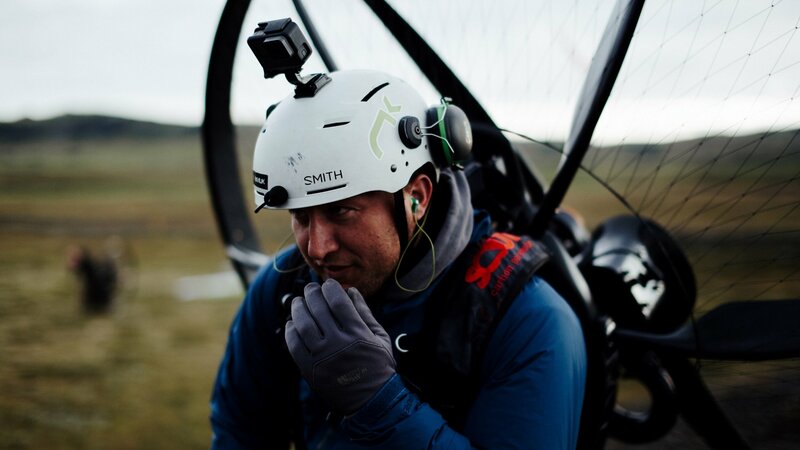 In 2016 he won the Icarus Trophy Adventure Division flying more than 1900 km unsupported across the US. 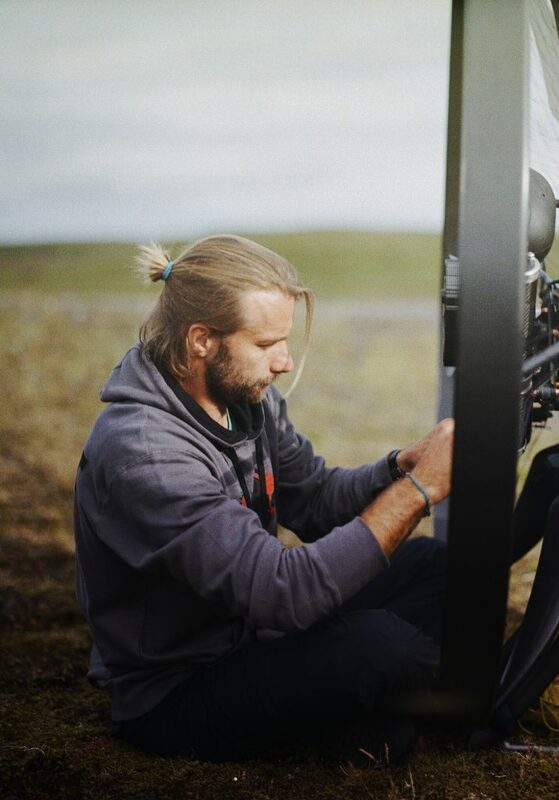 In 2017 Miroslav nad Matej organised a spectacular trip to Iceland with 10 pilots on board. Miroslav speaks fluent German, English, Hungarian, Czech, of course Slovak and can ask for a beer in Spanish. Stefan works as a marketing and sales manager at SCOUT. 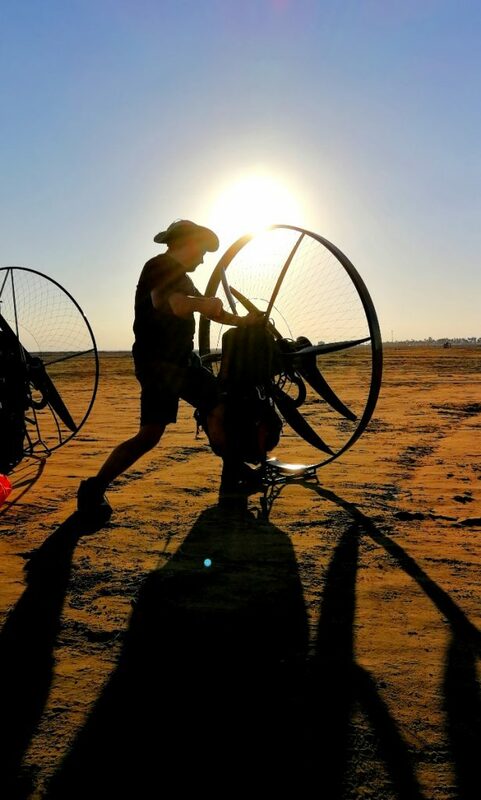 He is an experienced paramotor mechanic, free flying and a cross country pilot, too. 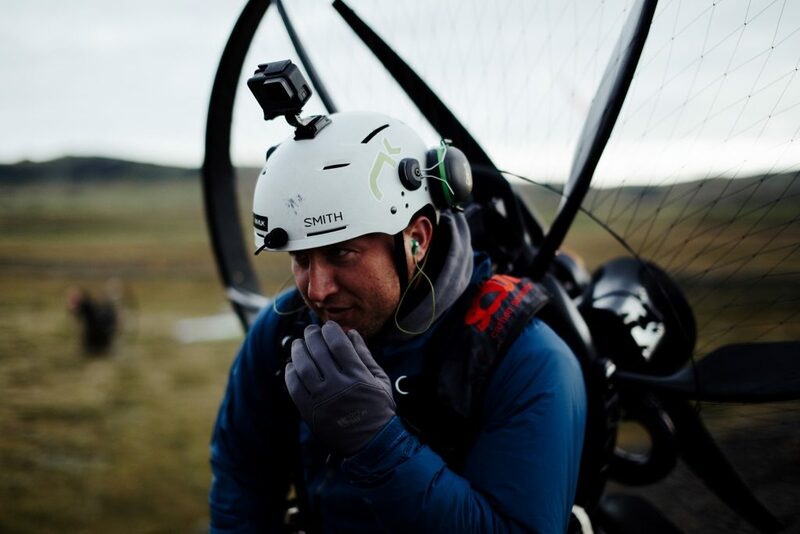 Stefan did a few paramotor adventure trips in Romania, Slovakia, Oman and flown some very challenging mountains and areas too. He is also a motorcycle enthusiast, rides downhill bikes and likes many other adrenaline sports.